Nestled along the banks of beautiful Lake Powell rests the 1,400-acre Watersound Origins community. Meticulously planned to offer a relaxed lifestyle of both modern convenience and appreciation of the natural environment, the Watersound Origins community is located near all of the activities of South Walton including beaches, shopping and dining. 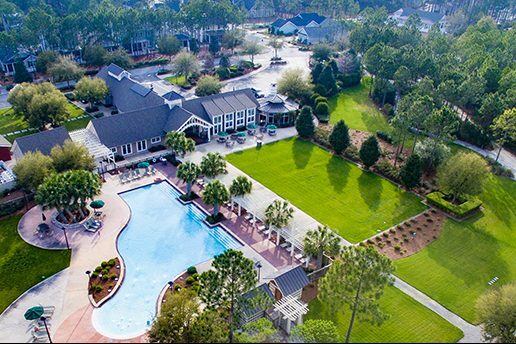 Amenities include parks, walking trails, lake access, a resort style swimming pool, an events lawn and the Watersound Café open for breakfast and lunch. Origins Golf Club is a six-hole regulation short course located within the community that also plays as a nine-hole executive course or a 10-hole, par-3 layout. The shingle homes of the Watersound Origins community are designed to reflect coastal architecture of the past with a modern touch creating a style that characterizes both past and present of life in Florida. Select home plans from distinguished local builders Huff Homes and Romair Homes are currently available with prices starting in the $400s. The homes offer many desirable features including granite countertops, Delta and Kohler fixtures, pre-wiring for surround sound and stereo, hardiplank and cement fiber siding and underground utilities.